If your smartphone is so smart, why can’t it get you a job? Well it can with instant information, no more phone tag, and lets you know when you should be doing something. Who knew that you can perform all this with one compact device? The only problem is you have to remember to keep it charged, so it’s ready for action. 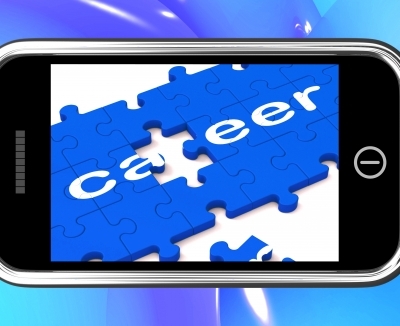 Job searchers can benefit from the many features on a smartphone beyond the basic phone call to assist them in a job search. Like many things today, the smartphone performs tasks that the owner doesn’t even know about. I know I don’t use many of the features of my smartphone because I don’t know they are there. I need someone else to point out how they are using their device to realize that I can do it too. The Calendar is useful for keeping track of your job search schedule. A quick look at your phone’s calendar will show what you have been doing with your time when filling out unemployment activity tracking. It can be programmed to alert you to various events you want to attend. Not to mention when you are free to interview. The GPS feature keeps you from getting lost on your way to interviews with turn by turn directions. It can even reroute you when a traffic tie up is ahead of you. The GPS feature takes the stress out of getting to your interview on time. You have instant accesses to the Internet to research a company or person just before an interview to get up to the minute details before the interview begins. You send, receive and read your email at any time and any place. Your resume can be sent at any time when you have access to it on the cloud or in your phone. Log on to social media to update your profiles, post to your sites, and share information. Using the camera to scan QR codes where you can be taken to sites that will provide you with additional information. You can scan business cards into your contacts, so you don’t have to carry around a stack of business cards. Your camera won’t lie to you, so it’s a good choice to record a mock interview and review it later for places to improve. There are many job search apps to access job boards such as Indeed, Monster, CareerBuilder and many more. Some of these job board apps use the phone’s GPS to find jobs in your selected area. Use Evernote to keep notes, articles and photos you collect while out to be available at a later time. One app called bump allows you to share information from one phone to another by simply touching one phone to another. Whether you’re at home or on the go, your job search continues. No more phone tag or missing an opportunity because you didn’t get your resume in on time. Waiting around doesn’t have to include last year’s magazines or being bored, you can take your job search wherever you are. « The Infographic Resume: The latest and greatest or a flash in the pan?